Kelly Hughes has spent her career advising and supporting employers across multiple industries and in various forums. 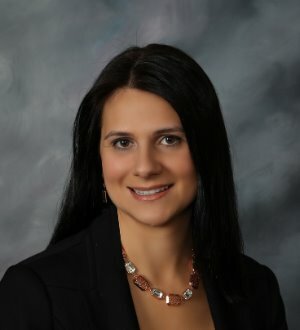 Ms. Hughes assists executives and management at all levels in crafting employment policies and agreements that not only comply with federal, state, and local laws but also complement the unique needs of the particular client and promote its financial and business objectives. Ms. Hughes is a nationally recognized authority on workplace flexibility and guides clients in creating and/or enhancing workplace flexibility tools in a manner that balances the business needs of the client with the various employment laws that may be implicated. She authored the legal chapters of the recently published book Workflex: The Essential Guide to Effective and Flexible Workplaces and travels around the country delivering presentations on this cutting-edge topic. Within Ogletree, Ms. Hughes is the co-chair of the Retail Practice Group, a member of the EEOC Litigation Practice Group and the Hospitality Industry Group, the co-chair of the Flexibility/Awareness Subcommittee of Ogletree Deakins Women’s Initiative (ODWIN), a reduced hours advisor, and an ambassador to the Professional Development Committee.